Pittsburgh has long been recognized as one of the nation’s most important industrial city, especially during America’s “industrial revolution”. Pittsburgh was an early and significant factor in the industrial development of the iron, steel, glass, gas, aluminum and transportation industries. The names of the leaders of these industries – Carnegie, Frick, Mellon, and Westinghouse – are recognized by all. However, the atmosphere of the “Smoky City” appears to have obscured what was happening in Pittsburgh in the field pictorial art photography. Even now, there is very little awareness of Pittsburgh’s place in the history of pictorial photography. Contrary to the general understanding, Pittsburgh was one of the earliest and important centers of pictorial photography. Pittsburgh was among the first cities in the United States to establish a photography club committed to the art of photography. This club – the Photo Section of the Academy of Science and Art of Pittsburgh – is still in existence, making it the oldest, continuously operating club in the USA. Through the decades, Pittsburgh has held highly rated photo exhibitions; with a good share of the works done by Pittsburgh’s amateur photographers. Prior to the 1880s, there were very few talented amateur photographers – most practitioners of this new technology were professionals, primarily portrait photographers. With the technical advancements in photography in the 1870s and 1880s, the increasing availability of photo materials and decreasing costs, photography as a pastime began to grow very rapidly. As one would expect, at that time this was mainly a hobby of the upper middle class, who had the necessary leisure time and financial recourses. Very early in this period, photo hobbyists began to meet to discuss technical issues, go on bicycle rides to find photo subjects and share the results of their efforts. By mid 1886, THE PHOTOGRAPHIC TIMES AND AMERICAN PHOTOGRAPHER listed only 17 amateur photo clubs in the USA. Of specific interest, on May 11, 1885, A. S. Murray, an amateur photographer in Pittsburgh, invited several enthusiasts to his home with the intent of organizing a photo club. That evening, they formed The Pittsburgh Amateur Photographer’ s Society. The twelve founding members attending that meeting included A. S. Murray, George. S. Orth and W. S. Bell, who went on to hold long and important positions in the club. Messrs, Orth and Bell were selected to draw up the by-laws and at the next meeting on May 26, 1885, the following officers were selected: Mr. Murray for president, John A. Brashear for vice president, Mr. Bell as secretary and W.E. Bonhorst as treasurer. 3 Thirty-nine members were present at this first election. On June 8th, the Society held its first meeting in its new home in Neville Hall, at 59 Fourth Avenue. By year end the membership grew to fifty eight; including one woman, E. S. Paul.5 It is interesting to note that some clubs did not accept female members during the early years of photography’s growth. In a report by President Murray, in the first half of 1886 the club added 26 new members, three of whom were ladies. During these years and for many years later, club meetings were held monthly. During the early years, meetings included viewing photographs and lantern slides, presentations (including darkroom work at their rooms at Neville Hall) and doing exhibitions and outings. As one might expect, club meetings also became opportunities for entertainment and social activity. On May 29, 1886 they “had a delightful excursion to Harper’s Ferry and got many historical and attractively artistic views, besides having a jolly time.” However, about their two day excursion in November on the Shenango and Allegheny Railroad, they reported that “it was quite a success socially, but a failure photographically, owing to very inclement weather”. Such is the life of dedicated amateur photographers. One of the more important areas of club activity was the making and presentation of lantern slides. Initially, slides were brought to club meetings for presentation and comment. In1885, the Cincinnati Amateur Association and the New York Amateur Society agreed to exchange sets of lantern slides for exhibition purposes. The success and interest was so great that it was extended to other clubs. On February 20, 1888, The American Lantern Slide Interchange was formed. The initial nine member clubs were: Photographic Society of Philadelphia, Philadelphia Amateur Photographic Club, The Society of Amateur Photographers of New York, The Brooklyn Camera Club, The Boston Camera Club, The Pittsburgh Amateur Photographers’ Society, The Cincinnati Camera club, The St. Louis Association of Amateur Photographers, and the Chicago Lantern Slide Club. 10 The object of this organization was the promotion of photography through the medium of lantern slides. This group is also the earliest important group of amateur photography clubs in America. In the later 1880s and into the 1890s, Pittsburgh was in a state of sociological change. Pittsburgh had gone through many years of industrial growth, becoming the nation’s leader in steel production and an important producer of glass and steel products, such as rails, bridges and locomotives. Pittsburgh was considered a workshop and cared little about anything else. With a small upper class and no middle class to speak of, there was limited social or cultural activity. However, industrial growth brought gradual improvements to the city’s infrastructure, increasing commercial activity and a growing middle class. Also, the wealthy of Pittsburgh awakened to their social responsibilities and made significant contributions toward the city’s infrastructure and cultural and educational life. In 1886, Andrew Carnegie donated funds to build a library in Allegheny; it was dedicated in 1890. Then, also in 1890, Carnegie offered a million dollars for the erection of a library in Pittsburgh. A new era began on December 5, 1895 when the Carnegie Library and Music Hall was handed over to the city by its donor, Andrew Carnegie. In the period between 1904 and 1907, he provided funds to expand the building to house the art and natural history museums. In October of 1889, the Photo Society received a communication from the Iron City Microscopical Society asking for the appointment of a committee from the Photo Society to meet with a committee from the Scientific and other societies of like nature, for the purpose of forming a confederation of the differing societies and securing a permanent home with accommodations for each society. At a meeting on November 5, 1889 the delegates from the various scientific and artistic societies – including the Photo Society – met to formulate a plan. On December 26, 1889, they reported their recommendation: “We, the subcommittee, and report: 1st. That in our opinion a scheme of federation, pure and simple, is not practical. 2nd. That we recommend the formation of an Academy of Science and Art, which shall have as one of its objectives, the providing a home for these societies represented in this conference. 3rd. That we submit the following plan organization of an Academy of Science and Art (The Academy) for consideration. On March 8, 1890, a formal application was made for the formation of The Academy. 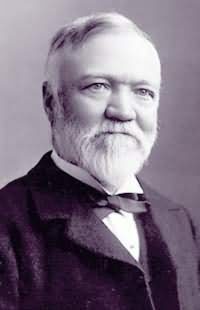 There were 46 signatories, led by Andrew Carnegie, John A. Brashear, the well known lens maker, W. J. Holland, Chancellor of Carnegie Institute and Henry C. Frick, a senior officer of Carnegie Steel. Following the required approvals and legalities, The Academy was recorded on March 10, 1890. Mr. W. Holland was appointed President of The Academy. At the first meeting of The Academy’s Council, on March 31, 1890, the following committees were established; Building & Furnishing, Library & Collections, Finance & Membership, Art gallery and Lectures & Programming of meetings. Mr. Brashear, from the Building & Furnishing committee promptly began a search for a home for The Academy members. As William Thaw (1818-1889), the transportation magnate of Pittsburgh, had just passed away the prior year, The Academy was able to obtain a four year lease of the Thaw mansion (which stood immediately west of what was at one time the Hornes department store) at a cost of $1,200.00 per annum. The initial member organizations of the Academy were: The Art Society, The Engineers Society, The Western PA Architectural Society, The Iron City Microscoptical Society, The Botanical Society, The Pittsburgh Amateur Photographers Society and, for a brief time, The Odontagraphic Society (it dropped out soon after formation of The Academy). On March 14,1896 the Amateur Photographers’ Society received its Certificate of Incorporation. 8 At that time it had eighty-four regular members, two honorary members – J. A. Brashear and John Beatty, Director of the Carnegie Art Galleries and Lifetime Member, Andrew Carnegie. On January 11, 1900, The Academy Council approved the formation of the “Photographic Section of The Academy of Science and Art of Pittsburgh”, thus modifying the original name – “The Amateur Photographers’ Society”. The new name later came to be more commonly called the “Photo Section” – the name by which it was known for many successful decades.